Conveniently located in the trendy Wong Chuk Hang area with access to the CBD via MTR in a matter of minutes. Only 3 minutes walk from Wong Chuk Hang Station and 8 minutes walking distance from Ocean Park. 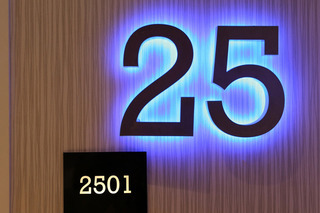 This iconic establishment is a masterpiece of attention to detail, white-hot contemporary art and industrial edge in Hong Kong's first warehouse conversion hotel.This award-winning property offers a choice of different room types featuring an industrial design that is sure to delight all kinds of travellers. 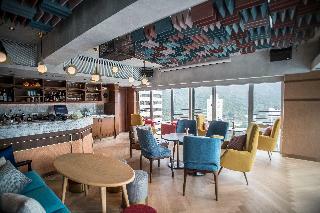 Featuring stylish restaurants and lounges, a stunning rooftop bar ideal to share nice moments with friends, and premium meeting and event spaces, this contemporary establishment is the ideal accommodation while staying in Hong Kong. 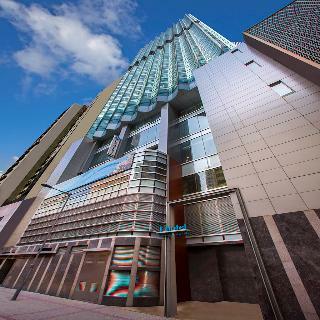 This wonderful hotel enjoys a very useful setting for anyone coming to Hong Kong, as it is conveniently located in the city centre, offering its guests the possibility to spend their free time on the numerous entertainment and dining venues that can be found in the surrounding area. The beach is not far away from the premises and visitors can wander around and recover from everyday's stresses at the verdant national parks like the Aberdeen Country Park. This luxurious hotel offers several comfortable accommodation options and all of them are superbly appointed with state-of-the-art amenities for a truly pleasant stay. Visitors can take a relaxing dip at the outdoor pool and complete a real workout at the on-site gym. Guests can also enjoy a free shuttle service to the airport. Established in 2017, Mojo Nomad is a community for global nomads who seek a new way of living and collaborating as a community, appreciate the experience of sharing the local lifestyle and value openness and collaboration. The brand's vision is to establish a global hospitality brand that will consistently go beyond traditional hospitality concepts, and blur the boundaries between hostels, hotels and homes by blending all the good bits into one space to allow residents to live, work and travel in an effortless home-feel environment. This charming hostel offers collaborative and fun environments that expose its residents to new people, new ideas and new experiences. It is situated about a 40-minute driving distance from Hong Kong International Airport and close to several bus stops which provide easy access to the rest of the city. An endless range of different accommodation options is offered for guests to choose from. Guests will appreciate the complimentary Wi-Fi internet connection.